Explore the outstanding winners from the Sports, Games & Leisure category, the place for graphics on anything to do with sporting pursuits, games, & leisure activities. 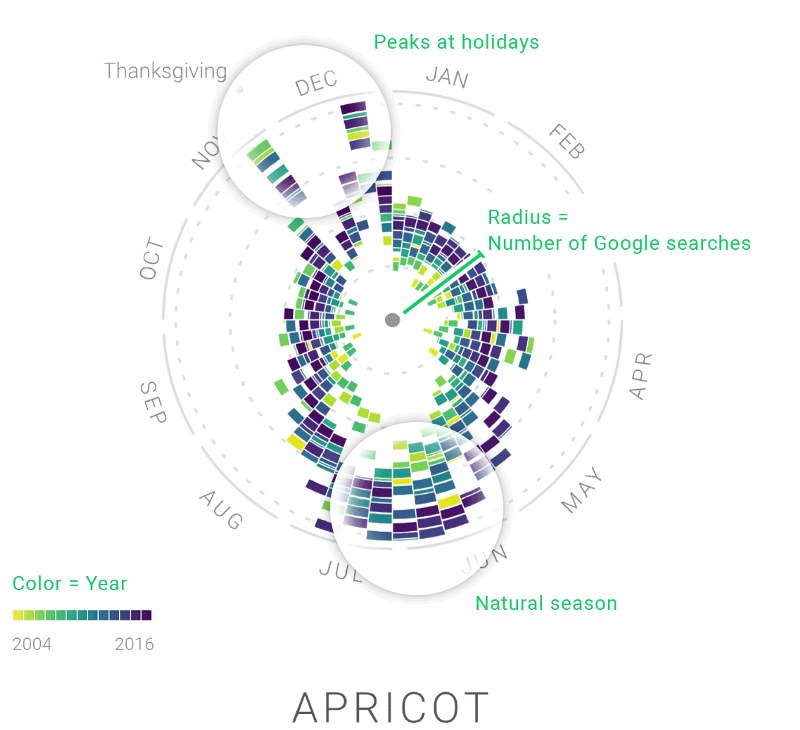 Using 12+ yrs of Google Trends data to explore food trends. 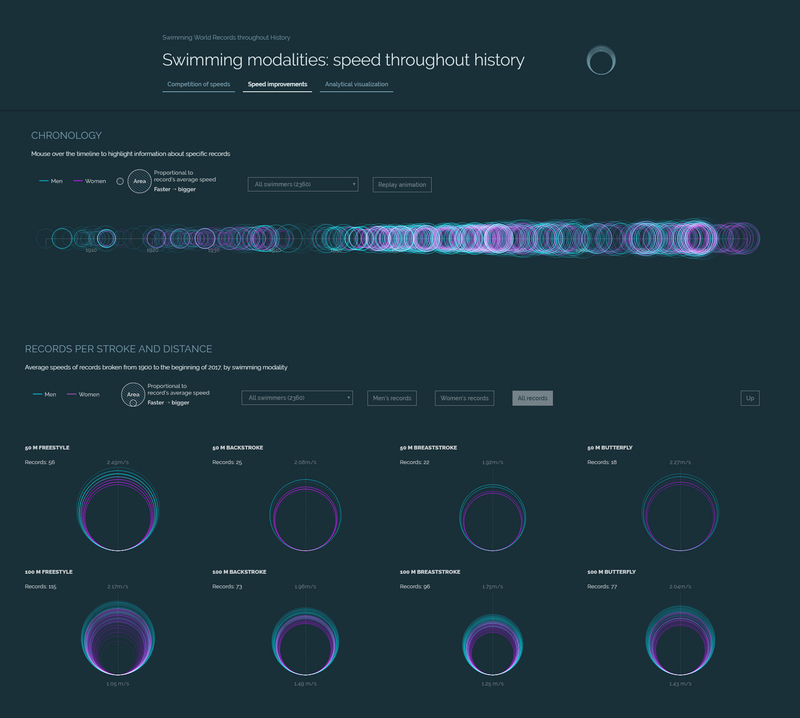 Exploring how much swimming has improved over the 20th Century. 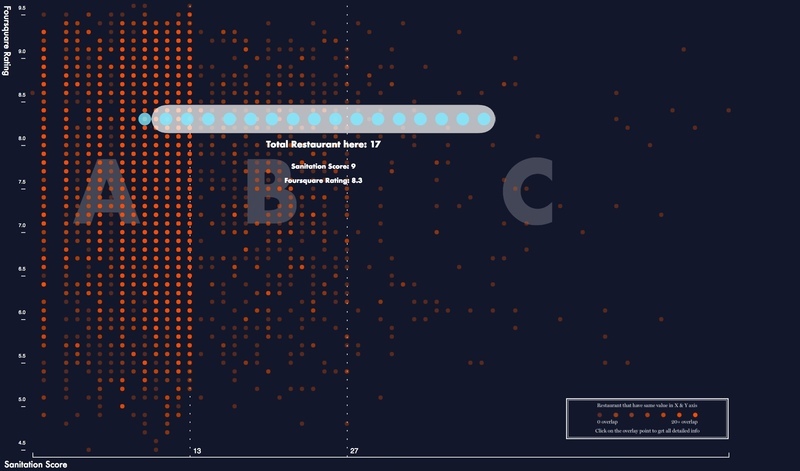 Food quality & customer experience in all Manhattan restaurants. 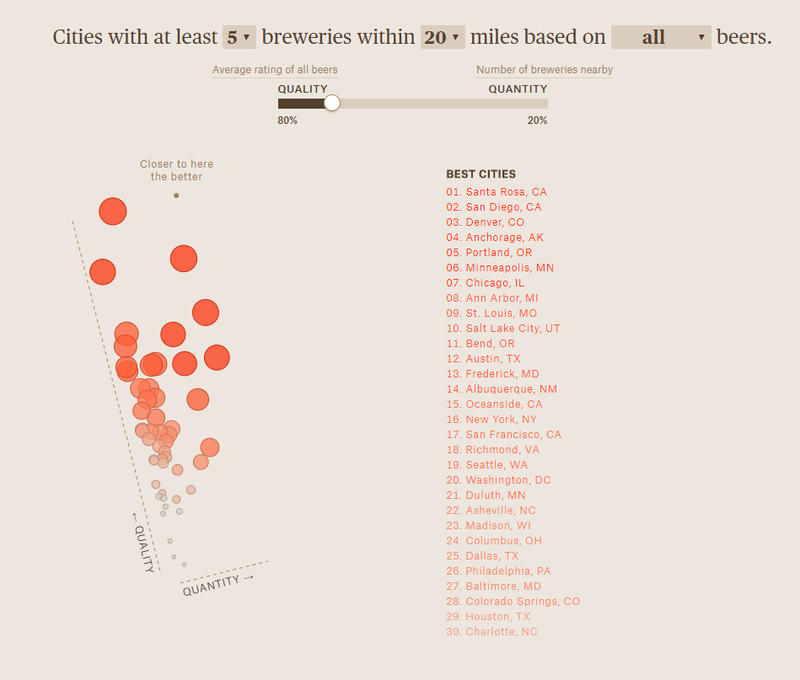 Surprise: the best craft beers in America don’t come from New York. 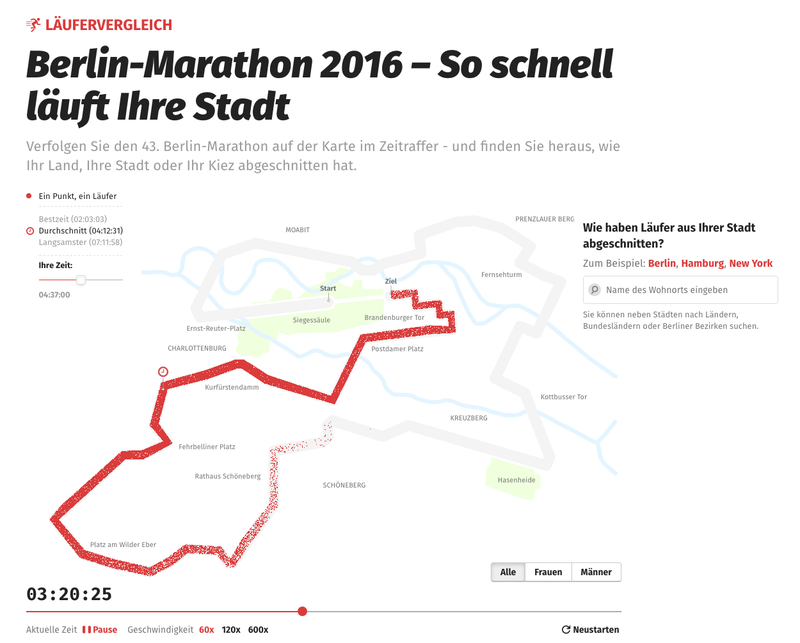 An interactive map allowing users to follow the Berlin Marathon in time-lapse.